THE B-MOVIE NEWS VAULT: Scream Factory announces 13 awesome new titles at 2016 San Diego Comic-Con! Scream Factory announces 13 awesome new titles at 2016 San Diego Comic-Con! 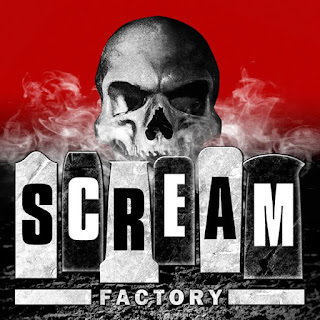 Along with the cool announcements from various toy companies (like NECA), and the flood of awesome teaser trailers for upcoming films and TV shows, the most highly anticipated moment in this household is the aftermath of Scream Factory's Comic Con panel! While last year was pretty exceptional, I think they've easily topped it with these upcoming releases. Take a deep breath fellow Scream Factory fans, and please remain seated, because these thirteen upcoming Blu-ray titles are gonna rock your world! This cult classic features Bruce Campbell and Ossie Davis as Elvis and JFK respectively. Both men team up to stop a soul-sucking mummy that's been attacking residents at their retirement home. The sequel is getting released too! More killer rat high jinks, and a classic Michael Jackson theme song! Bob Clark's slasher classic is looking to get a major high-def upgrade! Not too shocked by this, as Scream Factory does now own the distribution rights to a lot of former MGM titles! This sequel boasts Native American themes, and the ultra creepy Reverend Henry Kane! Even this much-maligned sequel is getting the royal treatment. Reverend Kane returns to try and claim Carol Anne, leading to a lots of sleight of hand with mirrors and stand-ins for young Heather O'Rourke, who passed away before filming was completed. I adore this movie, and can't wait to see what extras Scream Factory adds to this release! Dennis Quaid can jump into people's dreams (among other things), and battles a psychopath who is trying to murder the US president. This David Cronenberg classic features Marilyn Chambers as the unfortunate host of an experimental treatment after she is in a motorcycle accident. The result is an armpit orifice that infects people and turns them violent and bitey. A double dose of driller killers attacking slumber parties! This is a must own in my book! An early AIP “slasher” film, where the students at a school for wayward girls begin disappearing one by one. Never seen it, but looking forward to adding it to my collection regardless. Mary Steenburgen plays a struggling actress who attends a private taped audition at the secluded mansion at the behest of a Mr. Murray (the late and great Roddy McDowell). But soon, she realizes that things aren't as they seem, and ends up fleeing for her life. Well, what say you Vault Dwellers? Are you as excited as I am?! While a few of these films are relatively unknown to yours truly, I have to say that I am super excited for at least 80% of these titles! Word is that some of these will see a release in November, so start saving some money, and keep an eye out for official release dates, disc specs, and extras, because I will be sharing them as soon as they arrive in my inbox!